ITV has launched a £38m legal claim against its network partner STV in a row over the Scottish broadcaster's move to drop shows such as The Bill. STV has opted out of several peak-time shows and replaced them with more regional programming. But ITV claims this has been in breach of existing network agreements. The network shows dropped from STV's schedule include, Midsomer Murders, Kingdom, Al Murray's Happy Hour, The Fixer and Doc Martin. In a statement, ITV said: "Given that we are a commercial organisation, with responsibilities to our shareholders, we are left with no option but to take legal action to recover this sizeable debt." STV said it had been in discussions with ITV "for many months on numerous matters" and was "disappointed" it had chosen to act in a "pre-emptive manner". 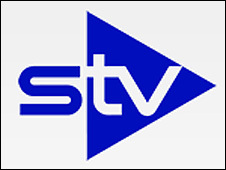 A statement said: "STV will rigorously defend its position and in particular its rights as the licence holder to control its schedule and opt-out of programming in accordance with the devolution contract and the relevant networking arrangements." ITV also said STV was wrongly attempting to claim a rebate against "written-off" shows which were never transmitted. The £38m claim is a gross figure. ITV said the net figure owed to it was in the £15m to £20m range, allowing for money owed to STV. STV said it was also pursuing a claim over several million pounds of revenue it says it should have received under its advertising sales agreement with ITV. The Scottish broadcaster said this was "but one of a number of issues" between the two companies.